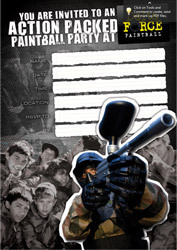 Are you wanting to organise an awesome day of paintball for you and a group of mates and need some help rounding up all those people? 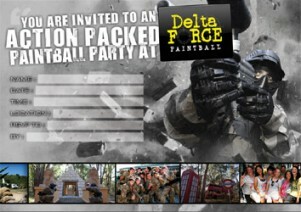 Our Delta Force Paintball invitations are a cool way, and yours to download, to get everyone prepared for the big day! It makes it easy! Print and fill them out, and send them out to your proposed paintball comrades in arms! To streamline things for yourself and your group when you arrive at Delta Force Paintball on your game day, feel free to also download, print and fill out the Player Registration Forms below. You may also wish to download the directions map(s) as well.